To celebrate Missed Connections at the recent BookExpo America in New York, Workman printed posters of Polka Dots in the Strand and we have five (signed) to give away! Leave a comment below to enter. Winners will be drawn democratically, using the fool proof chapeau method, and announced next Thursday. i'd love to win a poster! i love your work. Oh I would love to win! Your work is absolutely fabulous---- fingers are crossed. I, too, am a big fan. I'd love to own a poster. thanks for the giveaway! I would love to hang this in my house! 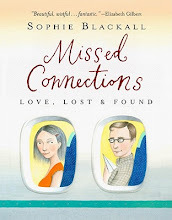 I have love your posts as much as I love reading CL's missed connections! My girlfriend and I love all the work done on this site. She would be so excited to get a poster. Oh, I'd love to win! Your work is beautiful. you're the best! i would love to win. Ooh ooh I would love a poster! Your work is incredible. This is so great! I love your work and I'd love to win a poster! I just love those two meeting over books! Plus I have just the place for the poster to go! Oh, this is the one I would buy if I could. I hope I can own this someday. It's lovely! I believe both in libraries & love at first sight! What a treat! I'll keep my fingers crossed! i love this poster (and all the other missed connections). congrats on the bookexpo and can't wait to see it! I would love to have any print from you, but this one is especially charming. Me too I'd love to win this beautiful work!just because I fell in love for it at first sight! Love it! I'd be very excited to get a poster!! So lovely! Your work knocks me out. This poster is beautiful! Your art makes my heart sing! I would love to win - your work is so great! I would love to have this hanging in my home! Wonderful! I'd love to win! I would love to win! so beautiful. would love to own this print. thanks so much! this is so beautiful! Please put my name in the chapeau! Congratulations on your book! Missed connections are near & dear to my heart... My found missed connection & I are still together 3 years later. I love your work, and particularly like this poster, because I love The Strand too! And believe in love at first sight! Fingers crossed! Count me in! I absolutely love your work. Throwing my name in the hat! Beautiful work! Congratulations! Your work is so inspiring. I'd love a chance to win. I love this print and I love your work! Congratulations on the new book! Gorgeous! I love, love, love your work. Please count me in! I believe in love at first sight! And I knew the first time I saw your missed connections work that I was in love. :) I would love to win a poster!! I've been following your blog/work for quite some time now and it's been wonderful seeing those little snippets of other people's days come to life through your creativity. I absolutely love your work! I would have this hanging in my dorm and send all my residents your way when they ask who illustrated it! I'm a huge fan, and I'd love to proudly display this in my home! My husband and I are both librarians. I would love this. I have been following your blog for while and would love a piece of your work! I can see it in my living room already! Beautiful work for a beautiful cause! Thank you!! Crossing my fingers! I'd love to win one of these. How lovely! It would look great on my wall next to "We Shared a Bear Suit at an Apartment Party"--love your work. Books, shelves, library, love and missed connections, there's no better than this, I believe. yes, please! count me in. beautiful amazing and imaginative work...thank you for this blog and for the work you do! me me me me me me me me me me me! pick me pick me pick me pick me pick me pick me pick me pick me pick me pick me pick me pick me pick me pick me pick me magic chapeau!! Want! This has been one of my favorites to date! 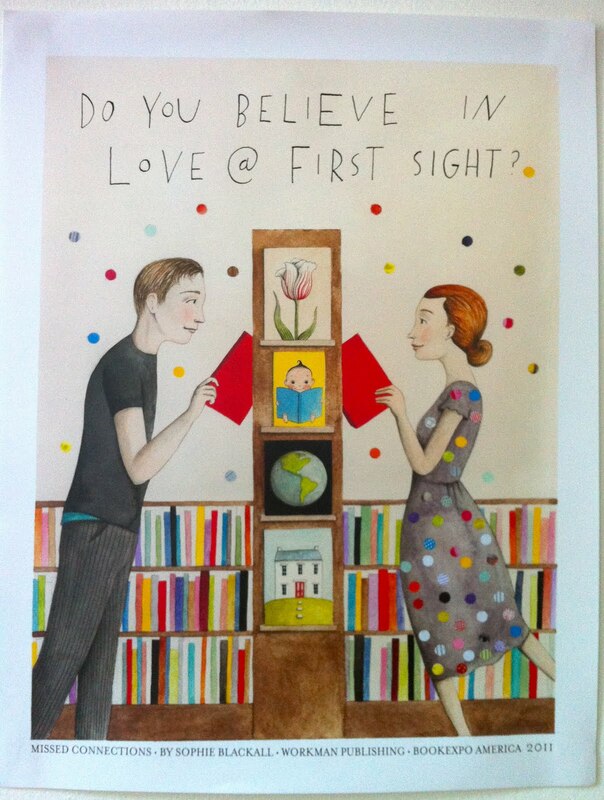 When I saw this missed connection, it immediately became my favourite, maybe it's my love of books, polka dots, the Strand, and believing in "Love at first site". I also would love to win a poster! Being also a big fan of your work and having a website for missed-connections I regulary look on your blog! I think one of those posters wants to travel a bit around and come to spain!! I'd love to hang it at home in Bilbao, Sophie!!! OMG, I love your work!! Even if I don't win, one of your prints will be on my wall soon! So beautiful! I would love it. This would be perfect just above my built-in bookshelves! Love it! This poster would be absolutely lovely! I would love to win!! :) Thanks for the chance! I would LOVE to have a poster. Love your work! Congrats again on the book. This is such a charming illustration! What a great giveaway, I hope I win!!! I know of a fan that this would think this an awesome gift. Great poster! Add me to the list. i love love love your work and this piece is especially dreamy. fingers crossed- it would look so sweet in our office full of books! thanks and keep up the adorable interpretations! I love that poster so much! Such an exciting giveaway! I adore all the Missed Connections! This is one of my favorite Missed Connections. Thanks for the giveaway! This is a great giveaway, I love the poster! We have the bear suit print (gift from my husband!) but I would love to add this one to the collection, above our overflowing book shelf of course. I love this piece, second only to the bear suit, which already hangs above our couch. Posters? I love posters! Especially this one! I'd love this - fingers crossed!! My red-haired, English grad student girlfriend would just love one of these. This could easily be a drawing of us. It's definitely worth entering! I love this photo. It's the way I would love to meet my love. would be great to see this on my wall. 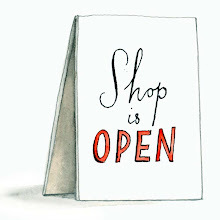 Enjoy the blog. Great poster. I love your work so much and would love to win this!! Yes. I experienced it with your work. This is perfect. I love that you take these missed connections and make them beautiful. Missed Connections fan desperately trying to win the heart of the poster. I saw you and I wanted you immediately. i love your work and would love to have a poster to hang in my place! OH ...i loved this one...where he said.."I swear I glimpsed our entire future together in that brief moment. It was beautiful"...makes your heart skip a beat. Fingers crossed! Oooh, I love that one! I'd love to win a copy! I love all your work! It is so beautiful and thoughtful! i'd love to win a poster! i love your work.what a lovely poster. ı write from turkey. ı believe in love at first sight and ı love books too much. Ooh, this poster is one of my favorites! Crossing my fingers. As a librarian-in-training, this work would be very welcome. Thanks! I'm so psyched! I love your drawings and I totally want a poster. Please place me in the chapeau! I thought this one was very cute. I would really love to win a poster. Thanks for being awesome. I believe in love at first sight and I would adore this!! Can I just say I agree with every comment above?? I love these! Hope I win. You're awesome! Oooh, I want in! I love your work, and this one especially. AGH! Beautiful. I love all of your lovely illustrations! This one is so colorful and fabulous! :) Good work! woooo i love your work!! Ah! I'd love to have one of your posters! Echoing all above! ;) - would love to win one of these lovely posters. To be another echo... awesome! Your work is so much fun! It would be a great addition to my studio wall! I love your work and the missed connections. I would love this. I look forward to every notification that you've posted again. Thanks for brightening my days! I love this blog! It's just about the sweetest thing ever. Aww. This is one of my favorites <3. I love your stuff and I'm especially fond of this poster. I want her polka dot dress! i need some artwork for my apartment! Your pictures are some of my favorites. YAY! I want to win this for my new house-I'll be moving to MO and I'm kind of depressed about it This will for sure cheer me up! Yes! Your work is wonderful! It's perfect! I would love a copy of it for my home. I would LOVE to have your work in my home! I never win these things, but oh, how I would love to. Honestly, i'd love a copy of any of your posters. You evoke the basic human conditions of hope and loneliness so beautifully. Oh my goodness! Yes Pleeeeeeeease! Gorgeous. Such a fan of your work! I love this! Thanks for the chance to win! xo. Yes, please! I love your illustrations, and the Missed Connections series in particular. Your work is inspired! Congratulations and thanks! With polka-dots and books, this is one of my favourite Missed Connections ever! Oh my God, the polka dots in the strand is my favourite!!! I'd love to win! This is so lovely! It would look great next to my bookshelf :) Congrats on BookExpo America! I love, love, LOVE your work! Here's hoping mine is one of the lucky winning comments! oh I love, love this! how lovely! because of your blog, i know read the missed connections for every city i travel to. It's a beautiful poster! Thanks for all your work! I'm a huge fan of yours and I'd love a poster! Your work is so whimsical and charming, and I would be thrilled to have a piece to hang in my house. My walls are nearly unadorned, so your work would have a place of honor. I am such a fan, and this poster is one of my favorites. Thanks for the chance to win! Sweet. I've been following your blog for some time and would love a print. Congrats on the expo. I adore your work, and this one is really lovely. I'd be thrilled to own it! I would be proud to have one of your prints on my wall. I love your blog. Congrats on the expo.